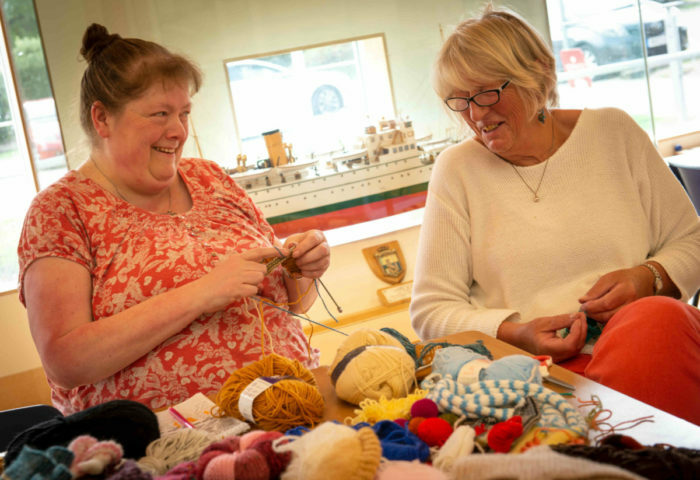 Every other Thursday* we have a wonderful volunteer group which specialises in wool and fabric activities. For all abilities our Cable Stitchers create everything from simple craft objects to more complicated and advanced creations such as our knitted pigeons. We always welcome new volunteers and you don’t need any prior experience to join. It’s a really relaxed group and perfect if you like some quiet company or a bit of fun in the afternoon. The group takes place in our lovely Clore Learning Space from 3 pm till 5 pm. The building has easy access for all and parking is just in front. Parking is free during the winter months, but charges start again around Easter 2019. As an official volunteer you can enjoy free parking any time you visit. We’ve got plenty of tea and coffee, and biscuits too. Also, as a museum volunteer you also have the option for some additional perks. Have a look at our volunteering page to find out more. *Some dates are subject to change, see our events listings or contact the museum ahead of your visit if you are unsure.